Bahu Akbar Pur is 700 year old village. The longitude and latitude is 28*54'39" north and 76*28'36" east District Rohtak in Haryana. 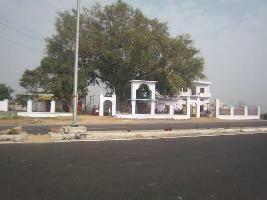 The village is 10 k.m.away from Rohtak on NH-10. Border Sharing Villages: Madinaa, Mokhraa, Gadh Teknaa, Laahli, Bhaali Aanand Pur, Dobh, Gaddi Khedi, Chhoti Bahu, Samargopal Pur (Khurd) and (Kalaan), Lidaanaa, Giraawad, and Singhpuraa. According to one legend the village was founded by three brothers(sons of Ch.GusaaI Balhara ).When they reached this place on one fine day, the wife of the younger brother asked her son to tell his tau to unload his belongings some further away otherwise it will get crowded. The JAT got the message and started again. He stopped at Neemsera (Delhi)and sent back the message that"if it is still crowded I will go further. The village got its present name because it got divided between two brothers Akbar and Jamal some 150 years back for tax collocation. So bada gaon got the name of Bhau Akbarpur and chota gaon Bhau Jamalpur. Social Institution: Village presides the "Choudhrahat for "Bahu Athgaamaa Khaap", Khap has its head quarter at Chhoti Bahu(Bahu jamaal pur). Population: The population of the village is 15,000 (approx.). The main castes living in village are Jats, Brahmins, Naai, Baniya, Chamar (Ravidasi), Jhimmar. The gotra of kheda of village is "Balhara". Other gotras of village are Kundu, Nehra, Malik, Dalal, Bijaniya, Batra, Badsara, Pannu and Suhag. Soon a complete list will be presented with details on all castes living in village with their respective gotras and percentage of total popuation. Economy: The occupations are Agriculture,Defence Services,Transport,Business and Animal Husbandry. 3. Disha Public High School. 4. St. Mary Senior Secondary School. 5. Siksha Bharti Senior Secondary School. 6. H.D. Senior Secondary Public School. 7. Surya Public High School. 1. Tau Davi Lal Stadium. 1. Tau Davi Lal Public Park. 4. Water Supply Works (Haryana's largest). 1. bus adda arya smaaj. Note: More information will be added on time.